Kiwi(Post)Bank model can secure Irish Post Office Network’s future. » Public Banking Forum of Ireland – Germany has 70% Public/Community Banks! The Kiwi(Post)Bank model can secure the long-term Future of the Irish Post Office Network. Founded 2002 – A phenomenal success story. In its 3rd year of existence, KiwiBank made a profit of $7.2m. Profits – KiwiBank’s net profit for 2016 was $124m & $53m for 2017 after a $90m CoreMod IT Investment. All Usual Post Offices Services provided. Business is Growing – Slogan: It’s Ours! Currently, POs are being offered an obscure deal – Details sketchy – Legal advice described clauses in the deal as “draconian”. It should never be the decision of any individual postmaster or even all postmasters to close a post office, which in most cases is detrimental to the respective community. Under this deal, up to 390 POs will close or become unviable. 147 Post Masters voted against the deal and 107 PMs didn’t vote. Included in those who voted for the deal are between 150 & 200 Post Masters who want the exit deal – whether or not their post office is viable or essential to their community. The model being proposed and the process of offering Pillar Banking services through the Post Offices has failed the POs in the UK where the Bank of Ireland capture of the network takes half the profits of products offered through the Post Offices. The Postal Union want this business taken back to the POs – UK Post Offices struggle while BoI takes large profits from their network. It is estimated it will cost UK taxpayers £2bn (€2.2bn) to buy back Bank of Irelands stake in the UK Post offices. The Irish Tax Payer continues to support the Post Office network while the Commercial Banks use of the network means the banks get their services delivered for a pittance while taking large profits from the network. The Commercial Bank contract with An Post also removes the potential for Post Offices to become competition to Pillar Banks – This is Anti-Competitive. * It was accepted by the EU Commission, the ECB & the Irish Government that the Irish Bank Bail-out amounted to ‘Illegal State Aid’ – There was a quid pro quo that competition would be introduced into the Irish banking market – That has not happened, in fact, several banks have withdrawn from the Irish market. The opportunity now presents itself to Government with Post Office situation and the availability of the proven KiwiBank model. 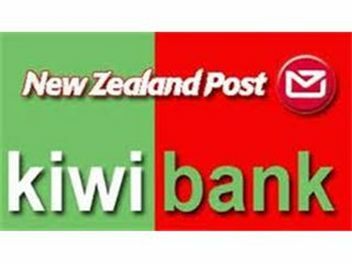 A properly run Post Office bank could become profitable in a short period – In its 3rd year of existence, KiwiBank made a profit of $7.2m. Any genuine appreciation of the KIWI post bank model or the German Sparkassen model demands that OFFICIAL IRELAND and this Government take responsibility for the redesign of Ireland’s banking system in the public interest and in the interests of communities and the productive economy. If Ireland were to copy the German public banking model circa. 60 to 70 independent community banks would be required, based on population comparison. A successful Post Office bank could be a lender to the State & Local Government, saving taxpayers billions in interest payments. iii) The Pillar Banks are charging SMEs c. 5% interest on the loans. (The SBCI funds are being borrowed from the German ‘Public Bank’ KfW and others). Several funding options are possible; the pension fund was used to bail-out private Commercial Banks – the EU funded the restructuring of the Bulgarian Banking System. Great care should be taken to secure both the national asset that is the Post Office Network and the ‘public interest’ in a long-term sustainable solution. By the Public Banking Forum of Ireland (PBFI) & the Independent Post Masters Group. An Post & the Post Office network also have the option of developing the Kiwi(Post)Bank model as proposed by the PBFI in Aug 2017. Please lobby your local political representative to support, promote and implement the Kiwi(Post)Bank model. The Post Office Network becoming merely a service for the Commercial Banks is not a solution and is essentially the sell-off of yet another public national asset. Under the current deal presented to Irish Postmasters, up to 390 Post Offices will close or become unviable and An Post’s long-term future remains precarious. However, a proven long-term solution is available – Will Government, An Post and the Postmasters embrace it? The launch of An Post’s NEW Smart Current Account is a significant development and could be the important first step in securing the future of the Post Offices & An Post. Yes, An Post is now offering their own Current Accounts. This development has the potential for so much more if progressed along the lines of the Kiwi (Post) Bank in New Zealand. Established in 2002 Kiwi (Post) Bank now has 20% of the overall banking market on the island of 4.6 million people, a model which could be replicated in the Republic of Ireland. This concept has already been presented to the Dáil and was passed. The motion, outlined hereunder, was placed on behalf of the Rural Independent Group by Mattie McGrath TD & Michael J. Healy-Rae TD. The Rural Independent Group includes Mattie McGrath, Michael J. Healy-Rae, Michael Collins, Noel Grealish, Michael Harty, Danny Healy-Rae & Michael Lowry. ‘The Kiwibank Model: Postal Banks to Serve Local Communities’ – “… Postal banks are now thriving in New Zealand, not as a historical artefact but as a popular new innovation. When they were instituted in 2002, it was not to save the Post Office but to save New Zealand families and small businesses from big-bank predators. By 2001, Australian mega-banks controlled some 80% of New Zealand’s retail banking. Profits went abroad and were maximized by closing less profitable branches, especially in rural areas. The result was to place hardships on many New Zealand families and small businesses. The Kiwi (Post) Bank option is possibly the last chance to save Ireland’s Post Offices & An Post. The recent rise in postal prices and other proposed changes will not suffice; substantive solutions are required to save the network and develop a system that is an alternative to predatory pillar banks. We must consider that in Ireland the Commercial Banks have over 95% of the market, whereas in Germany the Commercial Banks including Deutsche Bank & Commerzbank AG have only 12% of the market. 70% of German Banking is provided by Community Banks, lending locally to the productive economy, without engaging in speculation or securitisation. Community Banks in Germany have a 200 year history; they have built & continue to fund the 4th biggest economy in the world and have never needed any taxpayer’s money. There is no reason why An Post & the Post Office network could not take its rightful share of the banking market in Ireland and secure their future. Your local Post Office could become your local bank and become part of the proposed comprehensive publicly owned banking network which would include SME focused Community Banks and also the Credit Unions, together providing an alternative and competition to the current commercial banking monopoly. Please lobby your local political representative to support, promote and implement this initiative before it is too late. An Post Bank could become a State Bank similar to the Bank of North Dakota (BND). All State funds are processed through the BND and the States reserves are managed by this State Public Bank to provide funds to the banking system granting its support to their productive lending activities. 83% of North Dakota’s banking is locally owned community banking and Credit Unions. The BND has returned a profit to the State of North Dakota (750k people) of $1bn over the last 20 years. The PBFI also propose that An Post Bank become the primary administrator of Mortgage Credit for first-time buyers of the average priced house, for those on the average wage. This service can be provided for a nominal percentage administration fee as opposed to charging interest for the life of the mortgage. The current mortgage process works as follows; the customer signs a ‘loan contract’, legally this is considered to be a ‘promissory note’ (a promise-to-pay or a security), the bank is purchasing this security. It then owes the customer the said amount in the contract; but the bank does not pay-out. They just record it as a ‘credit’ in the record of their debts. No money is transferred from elsewhere. (1) The bank simply types this ‘credit’ into an account for the customer. We use this credit as money and the bank charges interest on it. The bank puts nothing of actual value into the transaction. The only value in the transaction is provided by the customers ‘promise to pay’. The banks are essentially gouging huge sums of interest payments from the public for merely administering the nation’s credit, on which they have a total monopoly. Lessons must be learned from the crash of 2008 and the subsequent private commercial bank bail-out; a recurrence or the export of another generation is not an option. The current private commercial banking system fully controls our credit system and thereby controls and shapes our economy. We desperately need a banking system that works in the public interest and supports the local economy, as opposed to the current risk-prone, profit-maximising and shareholder return focused commercial banking duopoly. Bank Number Statistics: North Dakota has 89 community banks, Germany has 1,400; Ireland has zero.